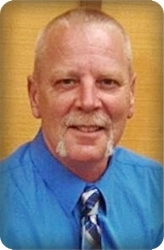 Richard Allen Krzykwa Jr, age 57, of Wyoming, passed away on Saturday, April 6, 2019. Richard proudly served his country in the Marines and finished his career with the Army National Guards. He was preceded in death by his father, Richard Sr., and mother, Marilyn. Surviving are his long-time girlfriend, Amy Peters; stepmother, Carol Krzykwa; daughters, Amanda (Chris) Sias, Sabrina Krzykwa (Jamie Neely); grandchildren, Kara, Nathan, Greyson; sisters, Robin K. Rasmussen, Mary (Gary) Merritt, Robin L. Krzykwa, Connie S. Smit, April A. Vega; special family member, James Smit; Richard’s daughter’s mother, Nancy Phenix. The family will greet visitors on Thursday, April 11, from 1:30 - 3:30 pm at Stroo Funeral Home, with military honors at 3:30 pm by the Kent County Veterans Honor Guard. Memorial contributions may be made to the family to help with funeral expenses. Please make checks out to Stroo Funeral Home.